In June, journalists were not the only ones to wield their pen and write a new story for our world. 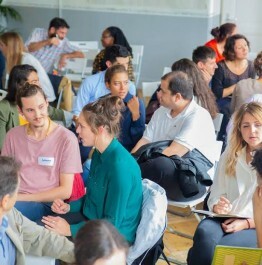 Numerous organisations, institutions and networks, joined the Impact Journalism Day movement to gather people together and make conversations about how to build a better world happen. Here is the example of Impact Hub, the world’s largest network focused on building entrepreneurial communities for impact at scale. The 100+ Impact Hubs in 50+ countries across each continent are home to innovators, dreamers and entrepreneurs who are creating tangible solutions to the world’s most pressing issues. To inspire and engage this community of nearly 16,000 members, about 11,000 events were organized in 2016. In June 2018, Impact Journalism Day was the occasion for these change-makers to create a new discussion about how the media, entrepreneurs, citizens or governments have the power to build a more inclusive and desirable world for all. From June 13th to 20th, six local Hubs decided to join forces to create events along with Sparknews. 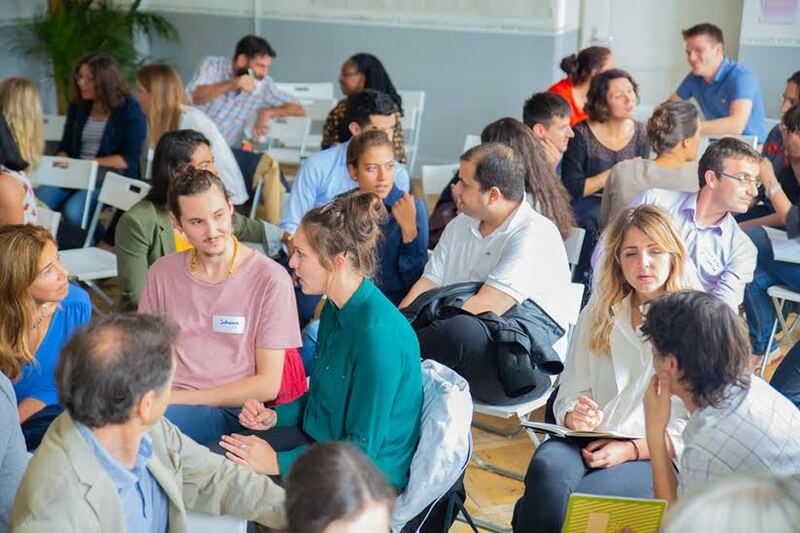 From Zurich and Geneva to Istanbul, Stockholm, Siracusa and Madrid, the Hubs chose different themes to focus on, while amplifying Impact Journalism Day. Zurich: a panel conversation on Impact Journalism took place with the great testimonial of Sonja Bichsel, an expert in Storytelling, Communications, Civic participation, Education & Coaching. Discover in this blogpost her thoughts about the importance of telling the stories of amazing people working towards a solution to achieve the Global Development Goals. Siracusa: Impact Hub Siracusa decided to focus on solutions developed for refugee integration, a burning issue in a country which saw 17,847 arrivals in 2018 alone (as of July 20th). However, solutions to the most pressing issues of our world exist everywhere and this evening was the occasion to discuss some of the local ones to address one of the greatest humanitarian tragedies. Madrid: a debate about the visibility and ways to talk about social and environmental initiatives in the media took place. Apadrina un Olivo, one of the 56 stories selected this year by the newspaper partners, was present at the event. Watch below the streaming of this passionate discussion (in Spanish). Geneva: a discussion to celebrate change-makers finding solutions towards circular economy took place, featuring several solutions to design a new and more sustainable model of production and consumption. Stockholm: an exceptional event connecting journalists, entrepreneurs, and communities in the name of a more positive global narrative. 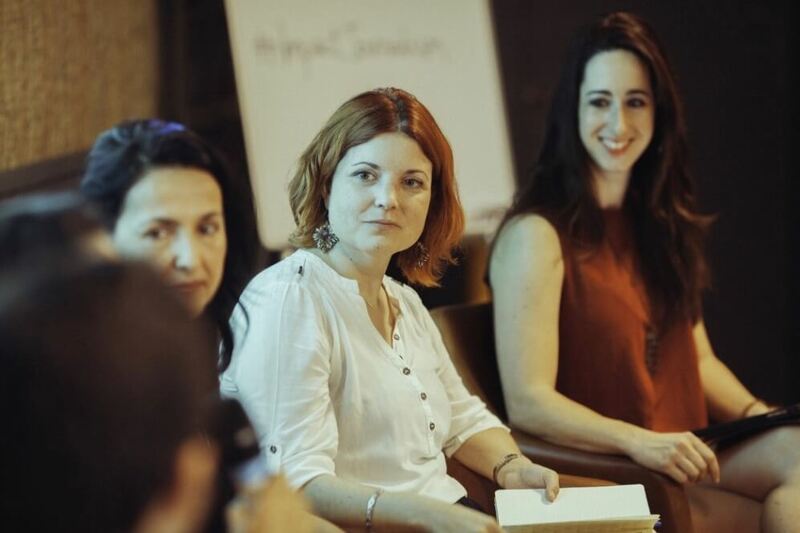 Istanbul: on June 21st, people discovered the stories of actors of Turkey’s social impact ecosystem. Impact Hub Istanbul discussed the future of the sustainable development goals in Turkey,listened to the experience of four social entrepreneurs moderated by UNDP Turkey, and questioned how to develop models involving multi-stakeholders to reach the sustainable development goals. We would like to extend a special thank you to the different Impact Hub’s organization teams for their commitment to sharing a new narrative. We hope these discussions sparkled curiosity, empathy and will to take action : see you on the 2019 edition of Impact Journalism Day!